Can an Asian Squad Survive Beyond Group Play in Brazil? The Diplomat ranks each Asian team’s chances at the World Cup. Asian teams led a charmed existence during the draw for FIFA World Cup 2014 last Friday. Each team found its way to a manageable group, leaving the so-called “Groups of Death” to other teams, such as the United States. That luck, however, did not extend Down Under. Australia’s World Cup probably ended before it even begins next June. Also representing Asia, the Socceroos had the misfortune of being included in Group B, which features defending champion Spain, last Cup’s runner-up the Netherlands and Chile. These three teams are Nos. 1, 9 and 15, respectively, in the latest FIFA World Ranking. The Socceroos are ranked at No. 59, which happens to be the lowest among the 32 teams qualified for the finals tournament. It also doesn’t help that Australia had a leadership shakeup just six weeks ago. After successive 6-0 losses to Brazil and France, German coach Holger Osieck was sacked and replaced by former Australian player Ange Postecoglou on October 23. While Postecoglou’s charge looks to be three-and-out in Brazil, the other three Asian representatives drew survivable groups that will at least give them a glimmer of hope to advance. After all, both Japan and South Korea made it to the Round of 16 during the 2010 World Cup in South Africa. Iran – Making its third appearance in five World Cups, Iran did not get the most difficult group conceivable, but it still faces a tall task to advance out of Group F.
Argentina (No. 3) is the clear class of the group and probably drew the easiest opening-round assignment of all the major contenders. For any team in this group to avoid utter humiliation at the hands of Lionel Messi and Co. would be an achievement unto itself. Bosnia-Herzegovina (No. 21) is making that young nation’s first World Cup appearance and its inexperience and lack of depth might prove detrimental. Nigeria (No. 36) is considered one of the weaker sides from Africa and is another team that should not intimidate Iran. Iran’s chances of advancing: 5 percent. Japan – The Asian champion is slotted in Group C, with Colombia (No. 4), Greece (No. 12) and Ivory Coast (No. 17). While this group looks formidable on paper, there is enough of an opening to get through for the enigmatic Samurai Blue, who stunningly drew the Netherlands and beat Belgium in their last two friendlies. Greece is a defensive-minded squad that managed just 12 goals in 10 European qualifying matches and needed to defeat Romania in a playoff to qualify for the World Cup. Colombia, despite its lofty ranking, hasn’t been to a World Cup since 1998 and has a history of early flameouts in the past (especially in USA 1994 when it crashed out in group play). Ivory Coast, with the star power of Didier Drogba and the Toure brothers, is considered the class of the five-team African contingent and just might be the team to beat as it opens competition against Japan. 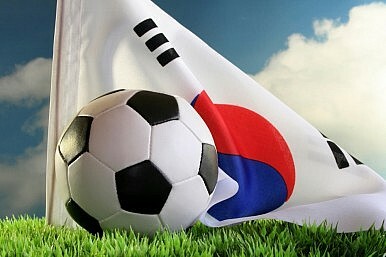 South Korea – The gritty Korean squad might be Asia’s best chance to advance out of group play. Not only did it draw one of the weakest groups as per FIFA World Ranking, Korea – making its eighth consecutive World Cup appearance (the sixth longest current streak) – also faces teams that are very short on global exposure, talented or not. Despite its dominant run through qualifying, Belgium (No. 11) along with Switzerland are the two most vulnerable seeds. The youthful Red Devils, led by Chelsea’s Eden Hazard, last made it to the World Cup in 2002 and have sputtered a bit after qualifying, losing a recent friendly at home to Japan. Russia (No. 22), now coached by former English manager Fabio Capello, also will be playing in its first Cup since ’02. Algeria (No. 26) did make it to South Africa in 2010, but has never advanced out of group play in its three World Cup appearances and hasn’t won a World Cup match since its 1982 squad was memorably kept from advancing by a German-Austrian conspiracy. Friday’s draw may seal the fate of Asian squads hoping to survive beyond group play.